There are certain areas of the great State of Utah that I rarely visit. Who really knows why as the landscape photography opportunities are all around you in those areas. Maybe it has something to do with there being so many locations to photograph, especially during Fall colors in Utah. Photographing Fall colors in a panoramic format is something I truly love. 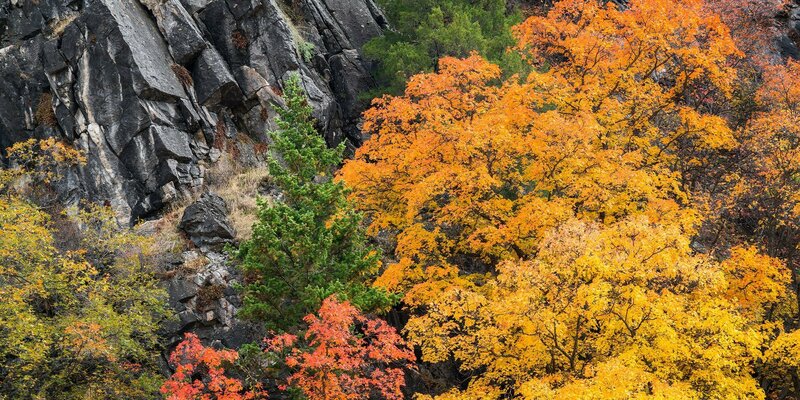 When you find a location that combines rugged rock canyon walls with the soft glowing leaves of Fall, it’s a hard combination to beat.